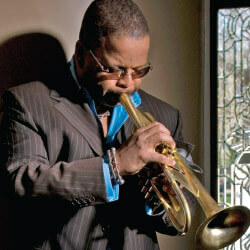 He’s probing post-bop connections to funk, R&B and fusion. The pianist is 30-year old Cuban Fabian Almazan who won the 2014 DownBeat Critics Poll for Rising Star Pianist. He’s been hanging with Blanchard since 2007. Charles Altura is the guitarist; noted for playing with Chick Corea lately. Bassist Donald Ramsey’s got Dr. John credits while Oscar Seaton has played drums alongside Ramsey Lewis, Don Grusin, Lionel Ritchie and Lee Ritenour. Dancing in the aisles may be off-limits but it’s a treat to beat your feet in your neat seat.